Today, these originals are incredibly rare and outrageously expensive. 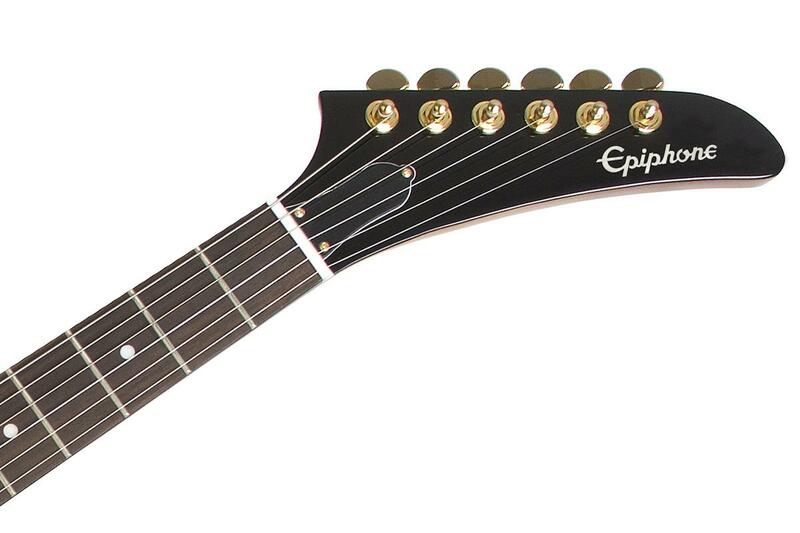 But with this guitar Epiphone intend to introduce the legendary Explorer to a new generation. With its Korina (AKA African Limba) body, modern hardware, and vintage voiced Alnico Classic Humbuckers this guitar rocks. 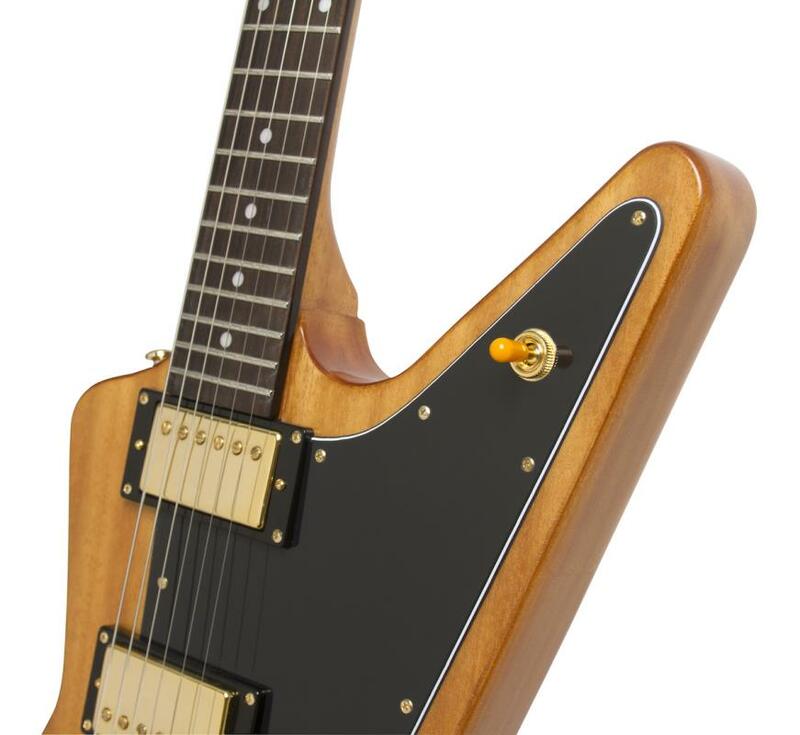 Korina is one of the great electric guitar tone woods and was first used by Gibson on this original run of Flying Vs and Explorers. It rapidly drew the admiration of luthiers and guitarists for its warm tone and resonant properties. Finished in Antique Natural, this guitars to shows off Korina's grain beautifully, korina is also a comparatively lightweight too. This guitar has Epiphone renowned '60's SlimTaper D-Profile neck, with a 24.75" scale. The Rosewood 'board has a modern 12" radius, simple dot inlays, a 1-11/16" nut, medium jumbo frets. The Alnico Classic humbuckers (regular in the neck and an overwound Plus in the bridge) give you a similar tone to the original PAF humbuckers that were used back in the day. 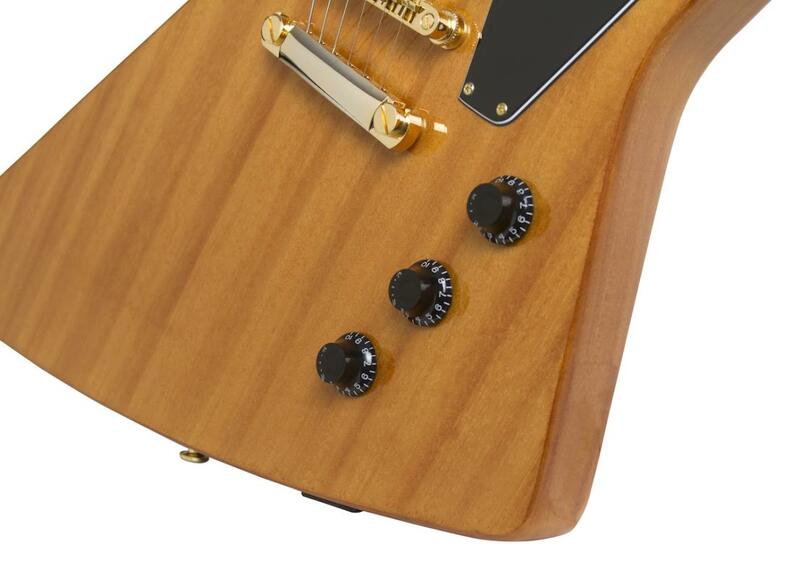 Alnico Classics use Alnico-V magnets for a higher output with enhanced mids and highs. Solid Epiphone Hardware: This Korina Explorer features a LockTone Tune-o-matic bridge and traditional StopBar tailpiece for exceptional intonation along with an Epiphone all-metal non-rotating ¼" jack. All hardware, including the "Deluxe" machine heads, is gold, a perfect compliment to the Antique Natural finish. Output Jack:	Epiphone All-metal 1/4"